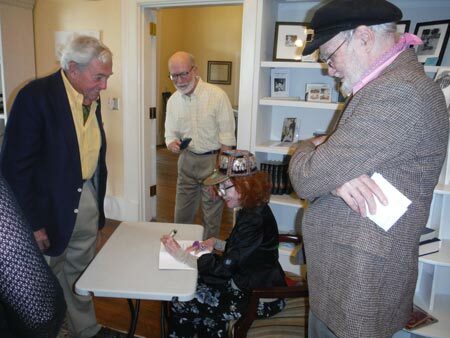 Alice Denham signed her new book from which she read on Saturday afternoon, May 10, at the Discovery Center. A guest of Bettis Rainsford, she responded to his invitation to read three times during her stay here. “I am taken with the South, again,” she said in a brief interview on Tuesday morning, before leaving for a flight back to her home in New York City. As a writer, she has more books inside her, but the one before her now is the historical fiction about the settling of Florida, to be published by the Edgefield County Historical Society, she stated on Tuesday. She left behind, among those persons who heard her readings, copies (sold) of Secrets of San Miguel, published in 2013.